These three different milk cartons distinguish between the rates of fat in the milk by using form rather then colour. 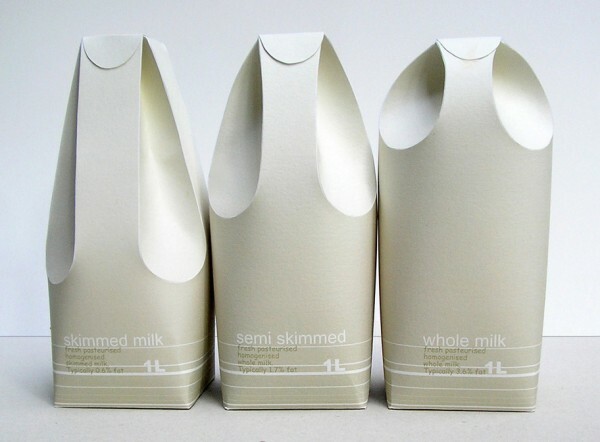 The form of the milk cartons reflects in a way on the milk’s texture and smoothness. The two back folds are used as the carton’s handle, while the two in the front function as the spout. 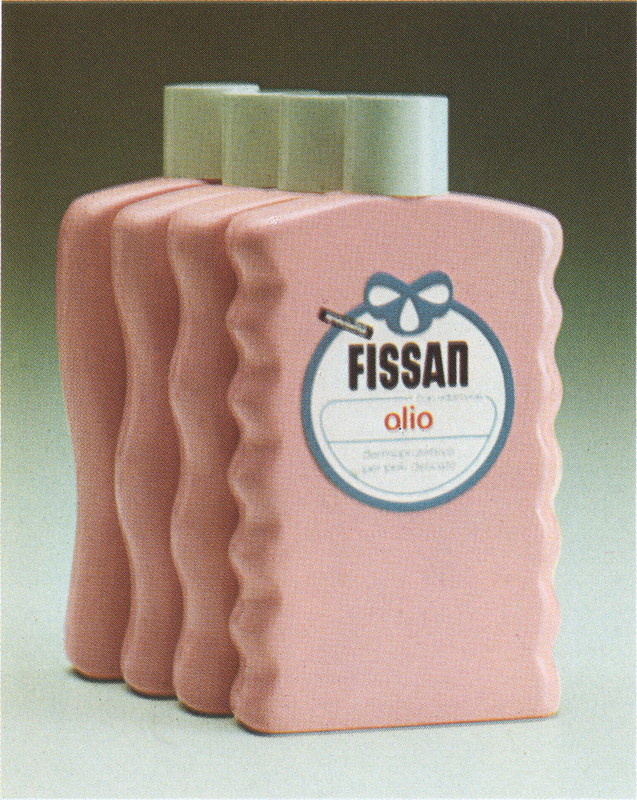 A similar line of monochromatic packages with meaningful differences in shape was Giulio Cittato’s 1970s bottle design for Fissan baby oil. 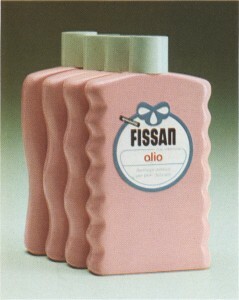 There wasn’t much information available about Cittato’s progression of differently-shaped Fissan bottles, but I think its meaning was something similar to what Raw Edges intended with their milk cartons. A gradation of shapes used to symbolize variable characteristics or contents in a line of products. It’s an interesting approach, but a difficult subject to research. Usually when one discusses the 3-dimensional form of a package in terms of product differentiation, it’s about distinguishing one brand from the other brands. This is something very different. The Raw Edges milk cartons project (done in 2004 while attending the Royal College of Art) shows consistent branding in terms of color and type treatments. 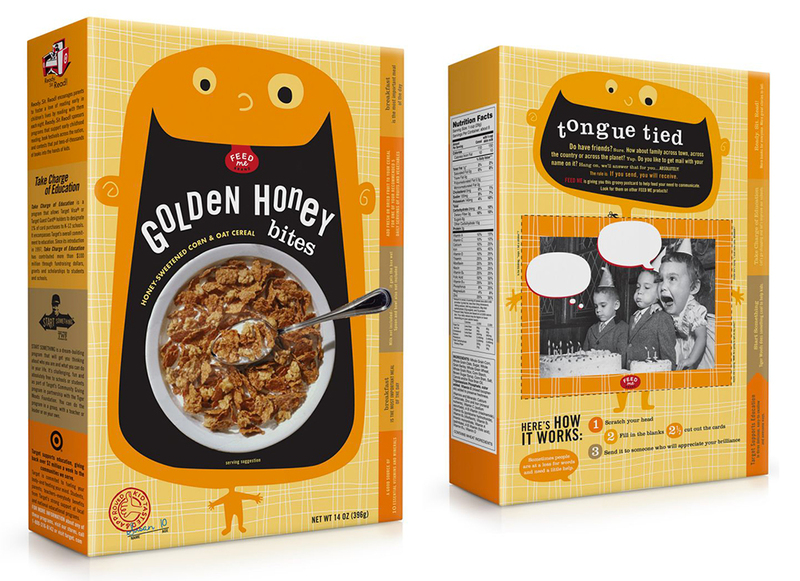 Yet, the three cartons are technically generic with no real “branding” at all. 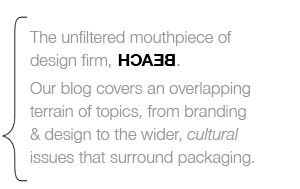 They vary in form not to vie for consumer attention, but to help convey something essential about their contents. As I say, it’s difficult to devise a good way of searching for other packaging lines that differentiate between product varieties in this way. 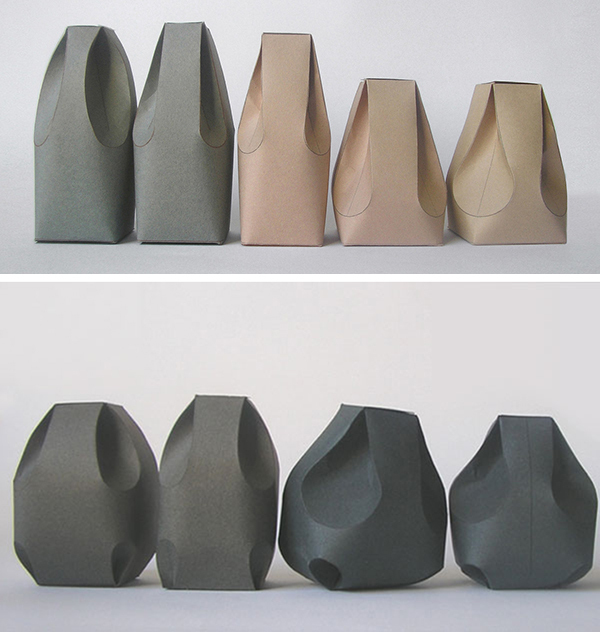 I’ve only noticed these two examples (Giulio Cittato’s Fissan bottles and Raw Edges’ milk cartons) are there any others?